• Other family members can be resettled if he or she is part of the same household and economic unit as the qualifying child, is legally married to the qualifying parent at the time of application, or continues to be legally married to the qualifying parent. WASHINGTON – An Obama administration program that reunites Central American children with parents who have immigrated to the U.S. faced sharp questioning Thursday from senators, who worried that it would further dilute immigration standards. The program was started in response to the flood of unaccompanied minors who showed up at the Southwest border last summer, after dangerous journeys from their Central American homes to rejoin family members who had come to the U.S.
A State Department official told the Senate Judiciary Committee that the Central American Minors Refugee/Parole Program would help prevent another surge of children trying to make that same dangerous trek. 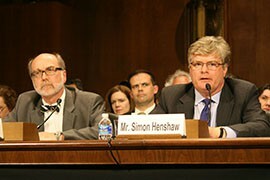 “The administration established this program to provide a safe, legal, orderly alternative to the dangerous journey that some children are currently undertaking to join their parents in the United States,” said Simon Henshaw, principal deputy assistant secretary at State’s Bureau of Population, Refugees, and Migration, in his written testimony. The program, announced in November, has started accepting applications but had not yet acted on any of the 500 or so applications. Committee members expressed concern Thursday about the concept as well as the execution of the program. Sen. John Cornyn, R-Texas, and others asked whether administration definitions of who is a refugee or parolee – key factors in being accepted to the program – were being applied too liberally. The Senate hearing came as Rep. Paul Gosar, R-Prescott, was preparing to deliver a letter co-signed by 36 House members demanding an immediate halt to the program. Gosar said Thursday that the Central American program follows the White House’s “illegal” efforts to extend deportation protection to millions of immigrants under DACA and DAPA – the Deferred Action for Childhood Arrivals and Deferred Action for Parents of Americans programs. Sen. Thom Tillis, R-N.C., told the committee a story of an immigrant in his state who was granted deferred deportation status and later killed three people. Tillis voiced his concern about how well background checks would be carried out, to prevent similar occurrences. “I’d like to get some assurance from you all that you can confidently and unequivocally say that your agency is not going to make the same errors,” Tillis said to Henshaw and Joseph Langlois, a witness from Citizenship and Immigration Services. Other witnesses noted that the Central American program is not the first of its kind. The U.S. has run similar resettlement programs with families divided between this country and Vietnam, Cuba and Haiti, they said. But critics said that this program, unlike the others, includes families given legal status by President Barack Obama’s DACA and DAPA programs. “A person provided legal status in this country who came here illegally, in violation of our law, that received legal presence by order of the president is now able to bring in, under the president’s order, his (or) her spouse and children,” said Sen. Jeff Sessions, R-N.C. 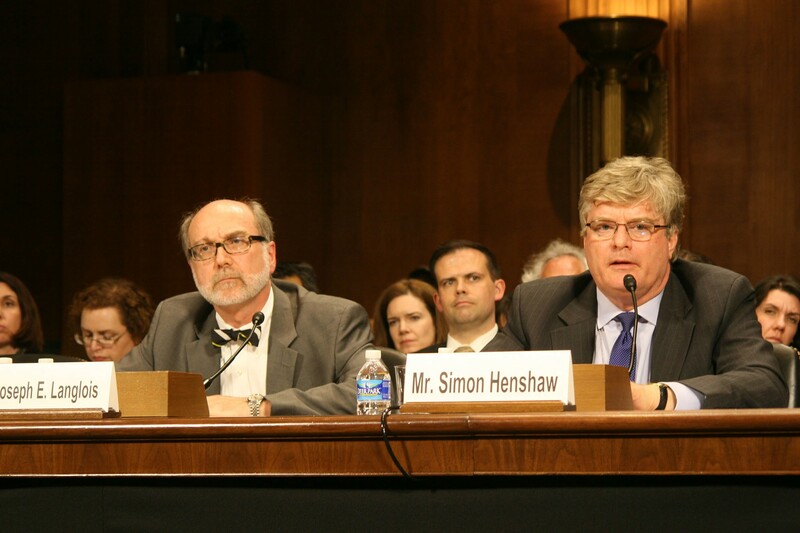 The State Department's Simon Henshaw, right, told a Senate committee that the family reunification plan aims to keep unaccompanied Central American youth from making dangerous treks to the U.S. border.